You Might Be My Shining Star: Sirius, the Dog Star, is the brightest star in the sky. And Twinkle, appropriately named, is Mary’s shining star. Photographed by Anna Cooke at Weaver Park. The dog days are also identified with Dog Star days. Sirius, the Dog Star rises and sets with the sun during what are commonly the hottest days in summer. Often referred to as the dog days of summer, the period runs between early July and early September. Is there any relief in sight? Except for some afternoon thundershowers here in Florida, probably not. But Florida dog lovers make due with plenty of Dog Days of Summer fun. Today (Saturday, August 18) the FiOS Dog Days of Summer will be a speed-themed family fun day at Dunedin’s Highlander Park. Between 11a and 3p there will be Agility demonstrations, dog costume contests, vendors and some surprises. Tomorrow (Sunday, August 19) the Dog Days of Summer continue with an all-day celebration at Cassis American Brasserie in Downtown St. Petersburg. The highlight of the day’s events will be a doggie fashion show at 7pm. Cool Alert: The addition of the annual Pin Up with Pooches and Vintage Cars by Buffalo Gal Vintage, complete with professional stylists and some very jazzy cars. Benefits the Humane Society of Pinellas. Planning ahead for some more dog fun – mark your doggie social calendar with these events: On August 22, check out Barkaritaville in Englewood at LaStanza Ristorante to benefit the Suncoast Humane Society. On Friday, August 24, we’re looking forward to the 6th Annual Dogs Days of Summer Beer & Wine Tasting event hosted by The Doggie Door in Winter Park to benefit Sebastian Haul Fund. The New Barker will also be at the annual Toast to the Animals at the Omni Hotel in Jacksonville to benefit the Jacksonville Humane Society. Then we’ll get to cool off during the Annual Dog Swim Day at St. Petersburg’s Fossil Park Pool. Anyone traveling the state of Florida and looking for dog-friendly accommodations – look no further than Hotel Indigo with six Florida locations. Of course, if you’re heading to St. Pete Beach, look no further than the TradeWinds Island Resorts. Be sure to check in from time to time to The New Barker online event calendar for updates and rain dates. And if you are going out and about with your dogs, please remember to bring enough water to keep you and the pups hydrated. Also, be aware of walking conditions underpaw, like hot asphalt and concrete. And, getting back inside your car, it’s always a good idea to cool it down for a few minutes first. Those seats (and metal parts of the seat belts) are going to be really hot for your dog’s paws and other body parts. One more thing: please check out The New Barker project. We have three days to go. 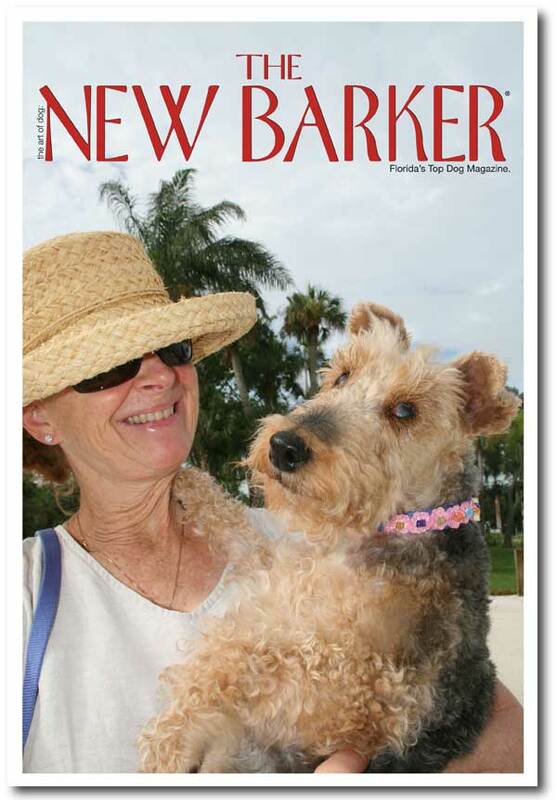 Author Anna CookePosted on August 18, 2012 Categories "The New Barker dog magazine", Dogs, Florida Dogs, Florida's top dog lifestyle magazine., The New Barker dog magazine, The_New_Barker, The_New_Barker_Dog_Magazine, UncategorizedTags Dog Magazine, Dog Star, Dogs, Englewood, Florida, Florida's top dog lifestyle magazine., fun with dogs., Hotel Indigo, Jacksonville, Kickstarter, lifestyle, Sirius, St. Petersburg, Stories about dogs in Florida, Tampa, Tampa Bay, The New Barker, The New Barker dog magazine., TradeWinds Island Resorts, Winter Park1 Comment on The Dog Days of Summer.